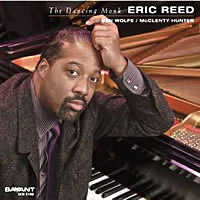 When you think of hard-driving swing, daring expression, sophistication and elegance in artistry, formidable technique and a thunderous sound, there are only a very small handful of contemporary pianists you think of and one of them is most assuredly ERIC REED. But don’t think of him as a just a pianist; Eric is one of his generation’s most advanced thinkers in music. Born in the musically rich city of Philadelphia, PA. Eric grew up playing in his father’s storefront Baptist church, starting at the age of five: “My father was a minister but he also used to sing with a Gospel group in Philly called the Bay State Singers. He is my earliest musical influence. I also was hit heavily by the sound of Christian and secular music of the 1970s (most notably Edwin & Walter Hawkins, Andrae Crouch and James Cleveland). 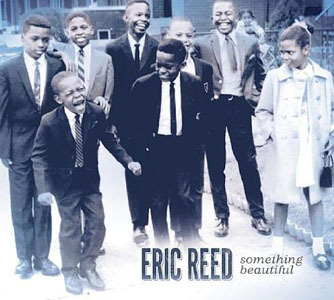 “ Soon after, young Reed was bitten by the Jazz bug after hearing recordings by Art Blakey, Ramsey Lewis and Dave Brubeck. At 18, Eric began touring the world with his own ensembles and recording both as a leader and sideman, making serious waves in the world of music. He garnered great notice with Wynton Marsalis’ Septet (1990-91; 1992-95) and spent two years with the Lincoln Center Jazz Orchestra (1996-98), making countless recordings and TV appearances with them. 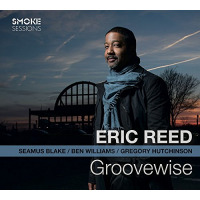 Reed also worked in the bands of Freddie Hubbard and Joe Henderson (1991-92). All About Jazz musician pages are maintained by musicians, publicists and trusted members like you. Interested? 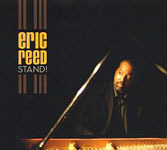 Tell us why you would like to improve the Eric Reed musician page.